Maybe it is the hopeless romantic in me, but I wanted to share a project for Valentine’s Day. My husband is always complaining about stepping on pins. It seems that I can navigate around any that are on the floor in my sewing area but R attracts them like a freaking magnet. So I though how wonderful it was that I could make a cool pin cushion and save his feet. That’s love. Apparently not in his world because he isn’t a romantic like me. Me: Look what I made! 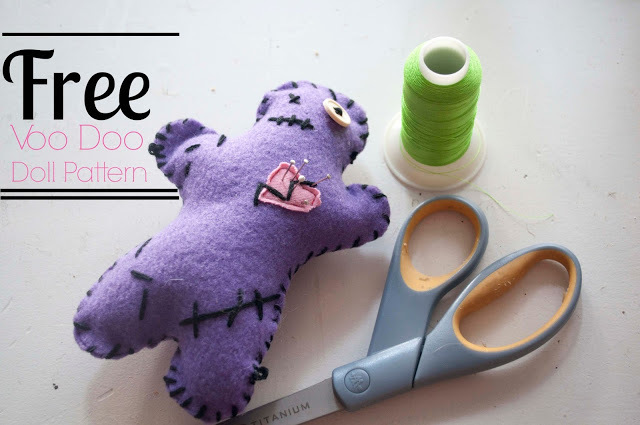 Me: A Voo Doo Doll Pin Cushion so you don’t step on my pins anymore. R: Is that suppose to be me? R: Great. 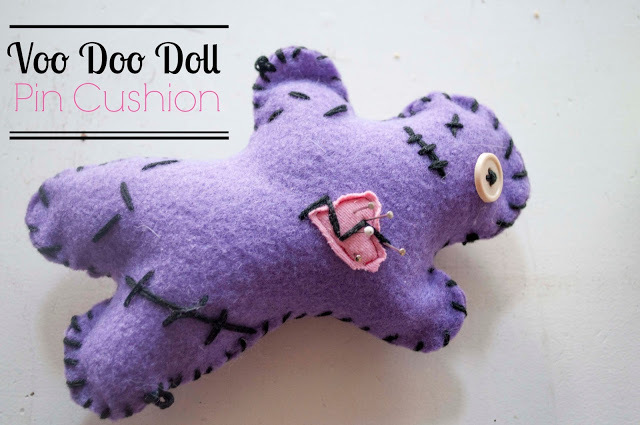 You made a Voo Doo doll of me. Me: Well, if you were purple I would say yes, but you are more red so this can’t be you. R: You made a Voo Doo Doll of me. 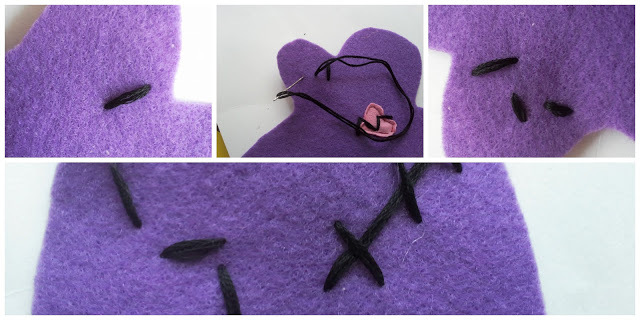 1 scrap piece of felt for the heart. Print the pattern at the bottom of this post. 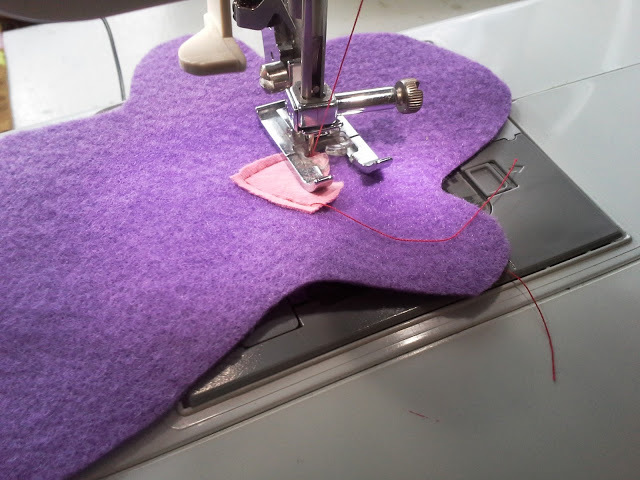 Sew the heart to the top piece of your doll. Using embroidery floss embellish the heart. 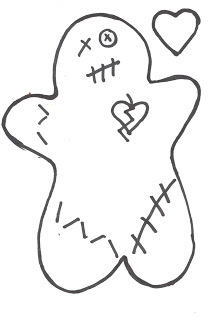 I liked using a zig zag across the heart as sort of a broken heartesque pattern however you could make stitches or a arrow. On the rest of the body make stitches. They can be placed anywhere you want, but I’ve added guides on the pattern below for assistance if needed. One mistake I made was starting too close to the edge of the doll. 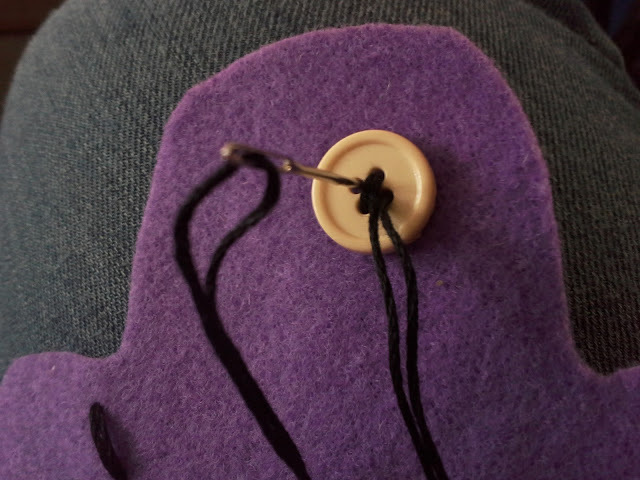 Leave about a 1/4″ or so from the side otherwise when you sew the doll together you will end up sewing over some of the stitches. On the arms a of the legs I added a random stitch that reminded me a bit of Sally from Nightmare Before Christmas and how she would she on her arms and legs. Finally finish off the face. 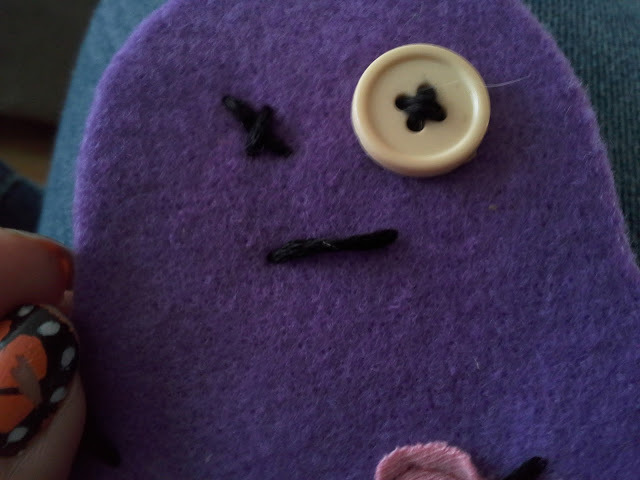 I used a button for one eye (Thankfully I don’t use Voo Doo Dolls in real life. It is a bit harsh what I’ve put this one through, geez). The other eye is a simple x and the mouth is just like the stitches made above. Finally place the from and back side together sew together and stuff.